Marvin V. Curtis, a native of Chicago, Illinois is the first African-American composer commissioned to write a choral work for a Presidential Inauguration. His work, The City on the Hill, premiered at President Clinton’s 1993 Inauguration and was performed by The Philander Smith Collegiate Choir of Little Rock, Arkansas and The United States Marine Corps Band prior to the oath of office being administered to Vice President Al Gore. This choral work is housed in numerous libraries across the country including the Smithsonian Institute’s National African-American Project Archives and the Clinton Library. 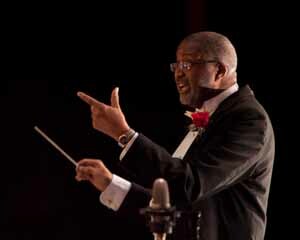 He presently serves as Dean of the Ernestine M. Raclin School of the Arts at Indiana University South Bend and Director of the Symphonic Choir of South Bend. 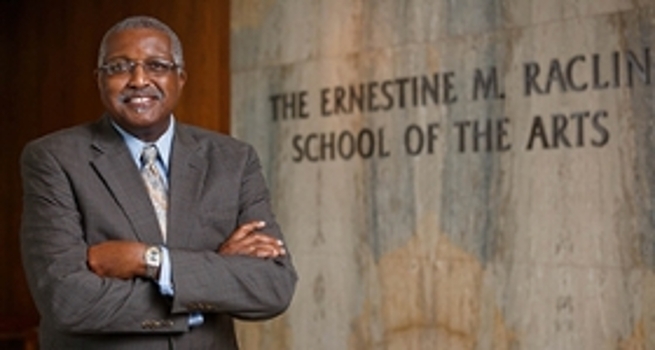 In his first year, he established the University’s African-American music celebration, Lift Every Voice… Celebrating the African-American Spirit as part of Black History Month and the award-winning Aspire magazine, the official publication of the School of the Arts. He assumed the conductorship of The Symphonic Choir of South Bend in September of 2008 and led them in a 90-minute concert in December of 2009 at The White House. 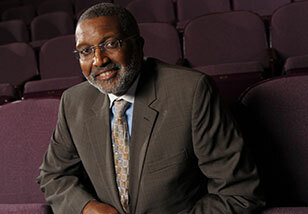 He was recently appointed to the Congressional Black Caucus 21st Leadership Institute. He earned the Bachelor of Music Degree from North Park University in Chicago; his Master of Arts from The Presbyterian School of Christian Education in Richmond, Virginia; and the Doctor of Education from The University of the Pacific in Stockton, California. He did additional studies at Westminster Choir College in Princeton, New Jersey and The Juilliard School of Music in New York. He was a 1993 Ford Foundation Fellow to the National Council for Black Studies Conference in Accra, Ghana, where he studied at the University of Ghana at Lagon. Fun Fact: A professional composer for more than 40 years, the composition for Road to Hope marks Marvin’s first film score. Stranded in Sub-Saharan Africa, orphaned by an AIDS epidemic, thousands of children are left on their own... needing a shepherd to save them.